Each apartment at Orchard Estates includes a full-size stove and refrigerator. Tenants bring their own furniture and household items. But how much should you bring? A good place to start is looking at the room dimensions of the apartment size you have in mind; they are pictured on our floor plans page. 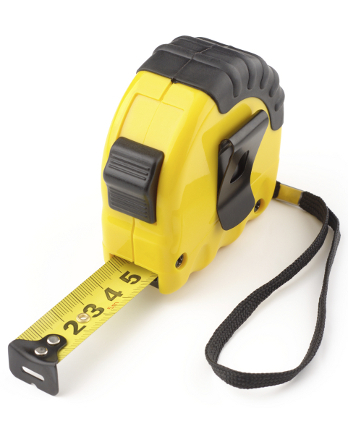 If you have questions about whether your china cabinet will fit in your new living room, use a tape measure to get the dimensions of your furniture and compare it to the length of that living room wall. Another option is to arrange to walk through a furnished apartment about the size of the unit you are considering. Contact Nancy Ellefson, Orchard Estates apartment manager, at 320-864-7798, to arrange a time to stop by to see how furniture items of a certain size fit. While you’re there, look at closets, cupboards and storage space so you have a good idea of what will fit there, too. Another rule of thumb is to let your priorities guide your decisions. For example, if having three bookshelves is very important to you, please bring them, but it may mean that your china cabinet won’t fit. If sewing and crafting supplies are a priority, then know that other items may not fit in the same room. The most important thing to keep in mind is that you can’t take everything from a large home to your new apartment. But you certainly can take enough familiar items to make it your home. If your entire living room set won’t fit, perhaps take one couch and your favorite easy chair. The same for your bedroom set: You may want to at least bring the bedside table you’ve had for so many years. You’ll be able to bring pictures and other smaller items without the same constraints.